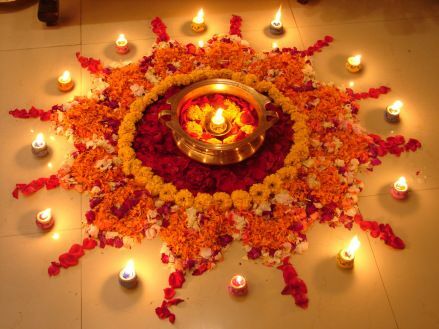 Rangoli is an integral part of Indian culture and is especially made during festivals in most of the houses. 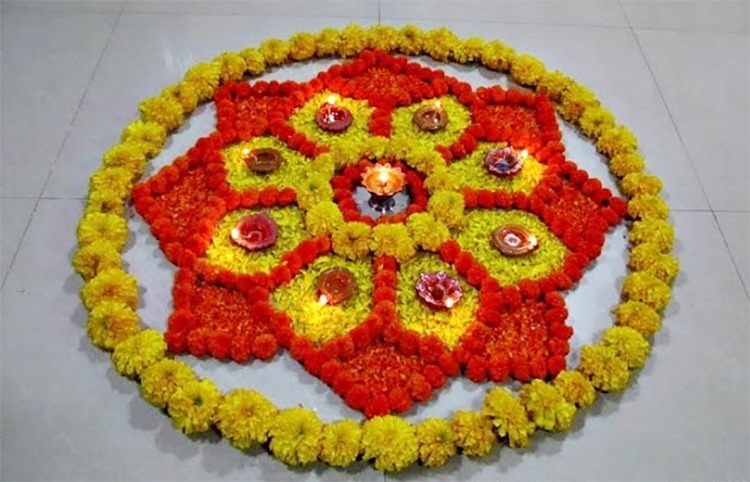 Homes are decorated with different designs of Rangoli and is done at auspicious places of the house like entrance, pooja room etc. 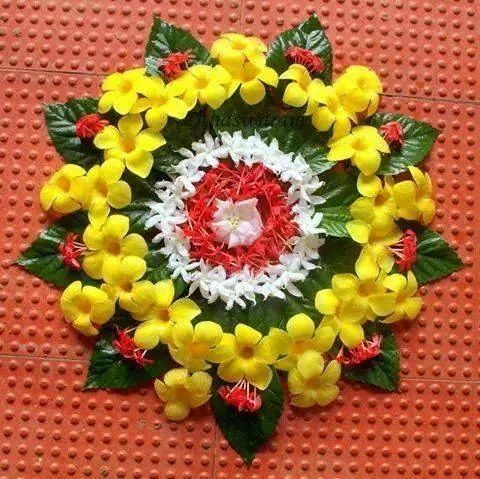 Ladies in south India decorate the entrance of their houses everyday with these patterns, as doing so is believed to bring in good luck and prosperity to home. 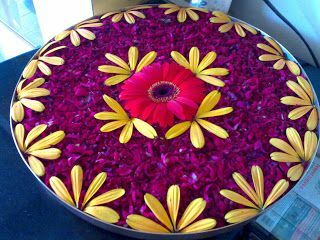 Though market bought colors can be used for making them, but use of different and colorful fresh flowers for making Rangoli is the best thing you can use. 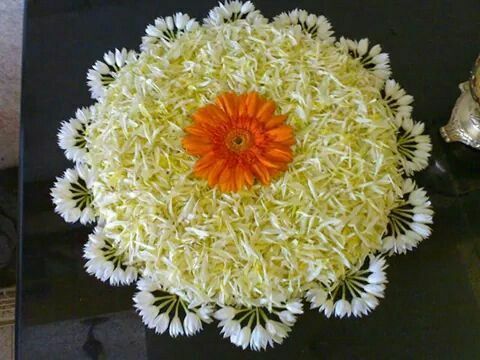 It is environment friendly looks pleasing to the eyes and its fragrance makes the surroundings peaceful. Here are few ideas how to use different flowers for different patterns, but you can always mix and match with the things easily available to you. Yellow and Orange Marigold flowers– Marigold flowers are used mostly for making Rangoli with flowers, as they look vibrant and smell great and are easily available everywhere. 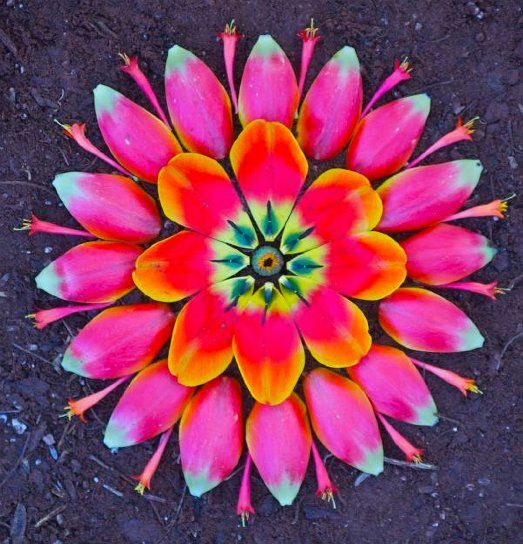 A mandala pattern can be done like this. 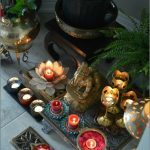 Placing diyas in different designs makes it look more attractive. 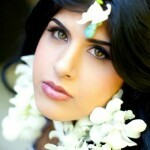 Combining White flowers with orange– Combine white flowers like chameli, mogra etc with flowers in orange shade. Rose and Marigold-The red and pink shade of rose flower goes completely with the vibrant orange hue of Marigold flowers. 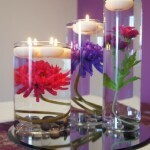 Placing a traditional pot filled with water, and decorated with flowers and candles at the center looks great too. 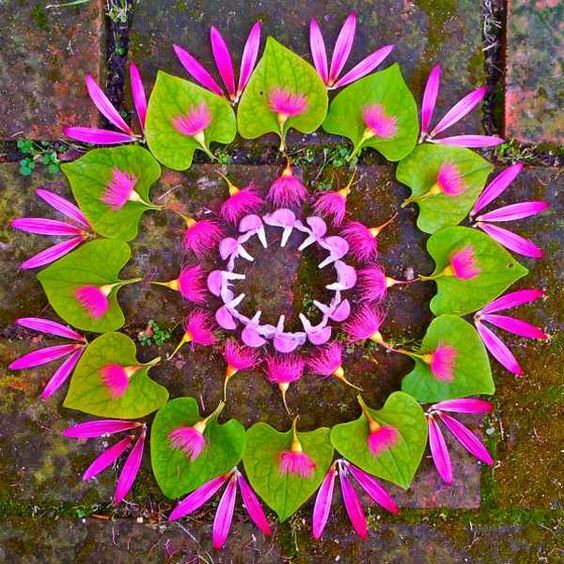 Combining petals of different flowers– Few flowers have short petals while some have long petals, try combining them together for a creative design pattern. Combining leafs and flowers– The green color of leafs looks great when combined with the bright and vibrant colors of the flowers. 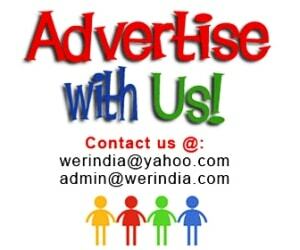 A simple design like this can be done in just few minutes and looks great too. Full Petal Design– Rose petals or petals of any flowers which are a little broad are great to be used for a design like this, which needs just single element.